App Apple Store TGSH | The Growing Stone of Hope! Each Click makes a difference! TGSH on the Apple App Store! I know its a very very long time ago that we made an update on our blog. Why? Well, to be honest, I just want to provide you with information that makes a difference in life and that is quite interesting. In the last few months a lot of things happened around us and within us. I will give you more details about it in the following paragraphs. First, let me give you an astonishing piece of news. The Growing Stone of Hope has been published on the “Attleya Magazine” available on the Apple App Store. Here is a link: https://itunes.apple.com/us/app/attleya-magazine-lifestyle/id909997963?l=de&ls=1&mt=8 – It would be great when you download the App and rate it with 5 Stars! 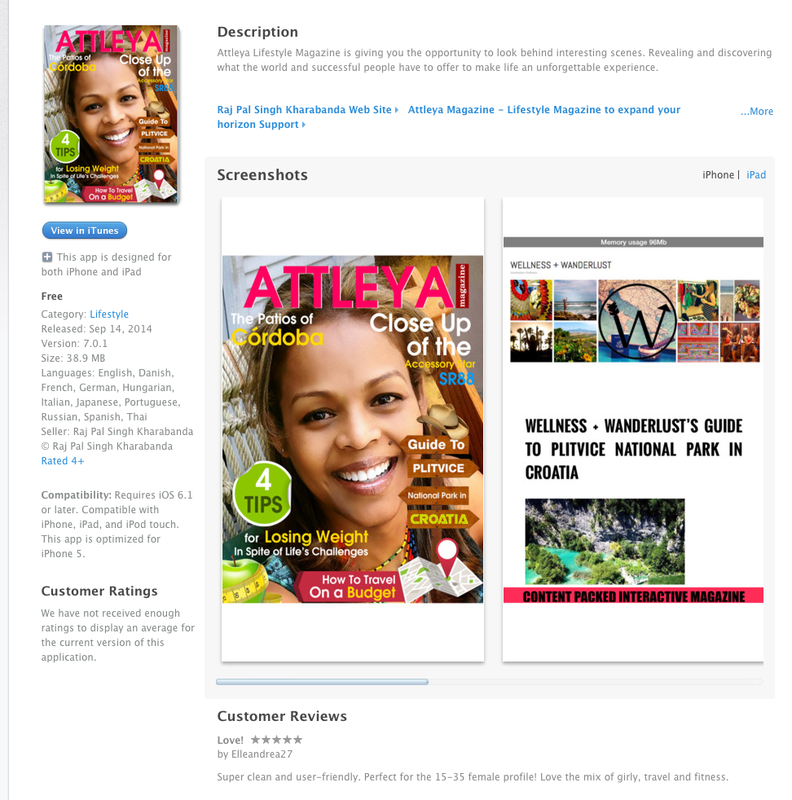 The more ratings the magazine has, the more people will download it and get to know The Growing Stone of Hope Project. To be published on the Apple App Store is a huge success and it increases the brand awareness of TGSH. In addition, TGSH grew again. We will let you know how many stones we added in our next post. As you noticed, this blog is not just talking about the TGSH Project but also about “Life” itself. Therefore, I would like to tell you some of my experiences I have made in the last few months. Now take a deep breath and ask yourself -> are you free. Are you 100% free of the worlds attachments? An attachment in regard to this topic here – are for me “duties I have to do each day, being addicted to my smartphone, being addicted to check emails, things that came into my life and which became a part of it now. I surely know that it is very difficult to stop checking emails or using a smartphone but you will see if you start reducing the intensity of using these Add-ons of your life, you will become much lighter. Let’s say you are looking at your smartphone each 45 minutes. Each time you are using it or checking something with it, you are loosing time of your precious life. In fact, you are using your life time to check an update or notification that is not urgent at all. While you are checking, you are definitely using some of your body’s energy and focus. Indeed, it is not a lot but if you summarize it for a whole year, it is incredible a lot. So my suggestion for today is: If you want to improve your life and start getting rid of attachments, become lighter, start being free, then reduce using utilities, objects, habits that do not have immediate and intrinsic positive effect on your life. Due to my own experience I can tell you, when you get rid of specific objects and habits, you will definitely feel to be much lighter and you will have much more time to enjoy your life and focus on topics that really matter in your life. In the following paragraph I just want to recommend you an incredible book called “Letting Go” written by David R. Hawkins M.D. Ph.D. Link to amazon – Letting Go, this book will 100% blow your mind. I mean it! This book is like a gift and I will recommend it as many times as possible. If you start following the technique that is outlined in the book and start using it, then you see the whole world and especially your surroundings in a way different light. In fact, it will become much easier for you to live your live day by day. You will give yourself and your life a different meaning and value. Actually I can promise you that your life will not be the same after you read this book. 🙂 I am not kidding at all. – I wish you a lot of fun reading it not just once but for sure a couple of times.